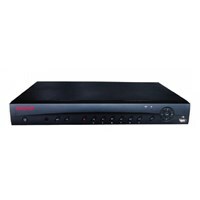 DVR CCTV, NVR Honeywell HEN08101X,8 CHANNEL 1080P H.264 PoE NETWORK VIDEO RECORDERHEN08101 (X) adalah NVR 1080P IP yang kaya fitur dengan kinerja kualitas tinggi. 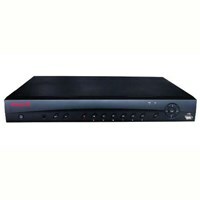 Tersedia dalam konfigurasi 8- atau 16-channel dengan penyimpanan internal hingga 8TB, NVR ini merupakan solusi ideal untuk penyebaran surveilans IP.Fully-featured NVRs• High decoding capability for full HD viewing and recording.• View up to 8-channels (HEN08101(X)) simultaneously• 8 channels live view and play back at full frame rate 1080p resolution.• Up to 16 channels recording at 1080p at full frame rate• Bi-directional communication.• H.264/MJPEG dual codec decoding• HDMI / VGA simultaneous video output• Supports up to 16 alarm inputs and 3 alarm relay outputsEasy to Use• Install NVR step-by-step by Quick Setup Wizard; built-in PoE to power up to 8 IP cameras• Simple and intelligent NVR design reduces time for physical installation• Remote configuration and firmware update via web client and the Honeywell configuration toolConvenient, Flexible Storage Options• Internal storage supports two HDDs up to 8 TB (4 TB each). *• Store videos and snapshots to external storage such as the client’s PC, through the Internet connection.• Store videos and snapshots to an external network storage server such as an FTP site.• Store videos and snapshots to a USB memory device.Dynamic, Accessible Monitoring• Monitor videos anywhere by using the mobile app HonView Touch applicable to Apple and Android devices (smartphones, tablets, and laptops)• Password-protected access to the NVR’s video and network setup. Privacy Masking• Conceal up to 4 areas of a scene from viewing and recording.Market OpportunitiesHigh quality, feature-rich and easy-to-operate, the HEN08101(X) and HEN16101(X) NVRs are designed for medium-scale installations at an affordable price. Also with various remote access tools, these IP NVRs are ideal for retail stores, residential areas, clinics, offices, commercial buildings and so on. Anda Mencari "NVR CCTV Honeywell"? 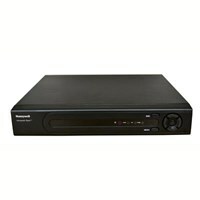 Buat Permintaan Untuk "NVR CCTV Honeywell"
DVR CCTV, NVR Honeywell HEN16101X,16 CHANNEL 1080P H.264 PoE NETWORK VIDEO RECORDERThe HEN16101(X) adalah NVR 1080P IP yang kaya fitur dengan kinerja kualitas tinggi. 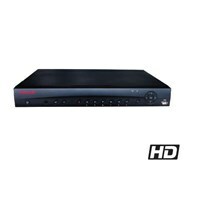 Tersedia dalam konfigurasi 8- atau 16-channel dengan penyimpanan internal hingga 8TB, NVR ini merupakan solusi ideal untuk penyebaran surveilans IP.Fully-featured NVRs• High decoding capability for full HD viewing and recording.• View up to 6-channels simultaneously• 8 channels live view and play back at full frame rate 1080p resolution.• Up to 16 channels recording at 1080p at full frame rate• Bi-directional communication.• H.264/MJPEG dual codec decoding• HDMI / VGA simultaneous video output• Supports up to 16 alarm inputs and 3 alarm relay outputsEasy to Use• Install NVR step-by-step by Quick Setup Wizard; built-in PoE to power up to 8 IP cameras• Simple and intelligent NVR design reduces time for physical installation• Remote configuration and firmware update via web client and the Honeywell configuration toolConvenient, Flexible Storage Options• Internal storage supports two HDDs up to 8 TB (4 TB each). 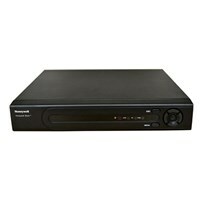 *• Store videos and snapshots to external storage such as the client’s PC, through the Internet connection.• Store videos and snapshots to an external network storage server such as an FTP site.• Store videos and snapshots to a USB memory device.Dynamic, Accessible Monitoring• Monitor videos anywhere by using the mobile app HonView Touch applicable to Apple and Android devices (smartphones, tablets, and laptops)• Password-protected access to the NVR’s video and network setup. Privacy Masking• Conceal up to 4 areas of a scene from viewing and recording.Market OpportunitiesHigh quality, feature-rich and easy-to-operate, the HEN08101(X) and HEN16101(X) NVRs are designed for medium-scale installations at an affordable price. 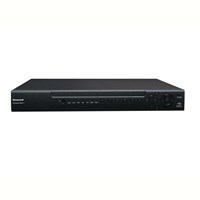 Also with various remote access tools, these IP NVRs are ideal for retail stores, residential areas, clinics, offices, commercial buildings and so on.